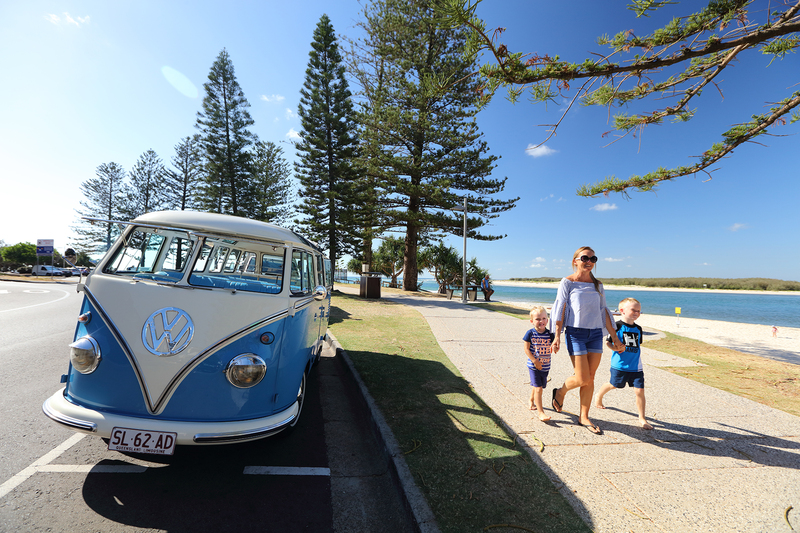 Enjoy the perfect family holiday at the picturesque town of Caloundra with parks, picnic spots, boardwalks and children’s playgrounds set against a backdrop of water and the scenic Glass House Mountains. Be as active as you like or relax as much as you can. Go surfing at Moffat Beach, kayak the waterways, walk along the foreshore, or take an eco tour by boat, jet ski or Amphibious LARC to enjoy the beautiful marine habitat that surrounds us. Caloundra has options for indoor activities as well as the great outdoors including stepping into the Queensland Air Museum to see an F-III on display. 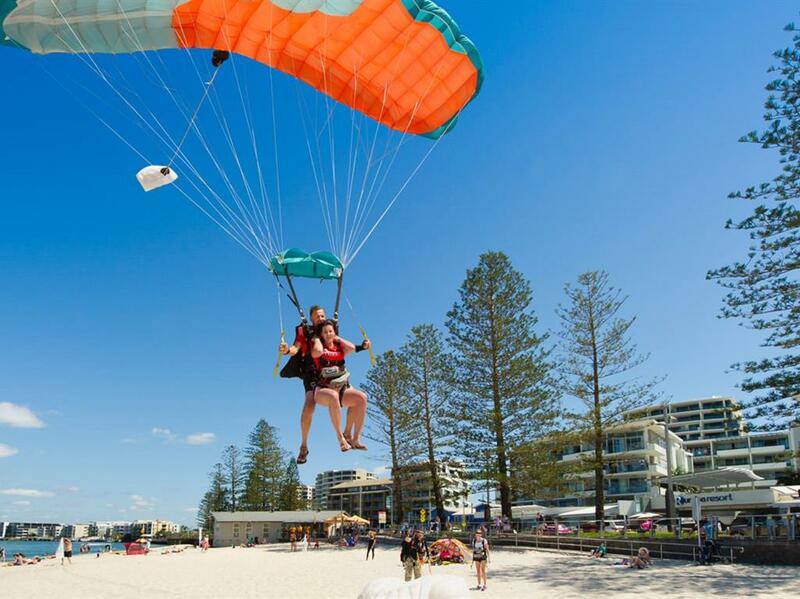 Thrill seekers can experience skydiving adventures, jet ski rides, kite surfing and plenty more exciting activities. 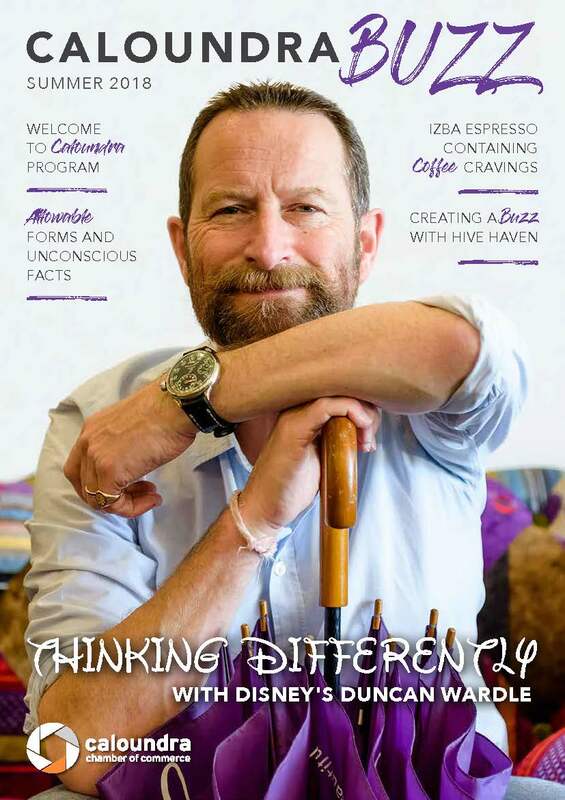 Tune into a festival or special event that’s always on offer in Caloundra. Caloundra is conveniently located at the southern tip of the Sunshine Coast, close to the hinterland region and approximately one hour’s drive from the northern reaches of Brisbane. Caloundra is one of Queensland's favourite coastal holiday destinations and no wonder with Kings Beach crowned by Surf Life Saving Queensland as the best beach in the state. The sheltered waters of Bulcock and Golden Beaches offer calm environments for youngsters to paddle and for the grown-ups, beachfront bars to sit and watch the passing parade. There are plenty of good beachfront parks with BBQs, play equipment and space for kids to be kids. Fishing and outdoor sport enthusiasts will be happy to hear there’s local tackle shops and good advice, boating hire and water sport equipment to enjoy on Pumicestone Passage. No wonder this place, is a haven for anglers, boaties and water lovers. Caloundra is home to an inspiring variety of cafes, eateries and restaurants which will make you want to dine out to enjoy the longer Summer days. In one block of Bulcock Street alone, you will find 7 different international cuisines but that’s only the beginning. There are cafes galore to serve delicious breakfasts and lunches with the best and freshest beginnings. Keep your healthy standards with Caloundra’s offering of paleo, vegan and vegetarian cafes. 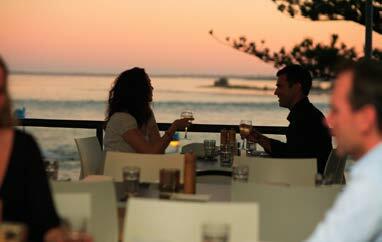 For fine dining, head to Tides opposite Bulcock Beach. For that refreshing summer ice –cream treat, head to Caloundra Baskin & Robins. Caloundra has some outstanding coffee haunts as rated by Bean Hunters. Start your coffee wanderings at The Urban Caloundra. Caloundra may have the relaxed atmosphere of a small coastal town but it also boasts one of the state’s best racetracks, Corbould Park. It’s also only a quick bus trip away from major attractions such as Aussie World where fun’s their thing and the ultimate wildlife adventure at Australia Zoo. The Queensland Air Museum in Caloundra is also home to an F-111 fighter plane plus many other historical exhibits. 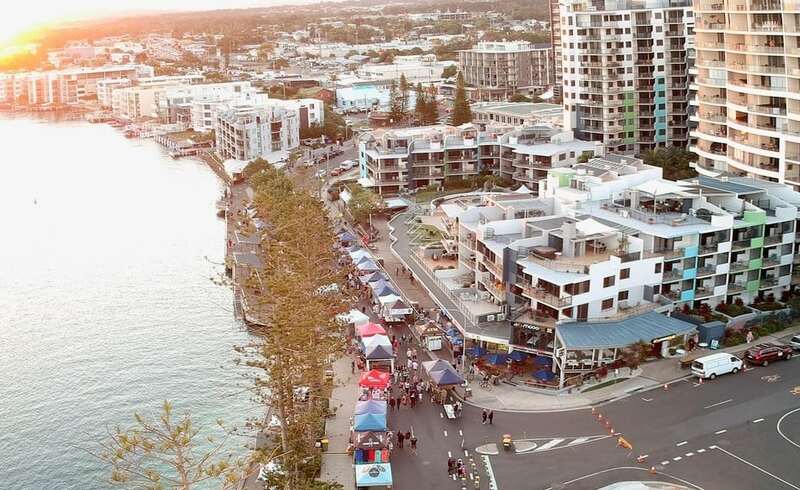 On Sundays the place to be is the Caloundra Street Fair, voted the Coast’s best market 2016. It’s a vibrant event space featuring over 200 unique stalls of exceptional quality artisan, handcrafted, arts and craft products, fresh produce and flowers plus a fine selection of international street food. Retail therapy can happen any day of the week with the boutiques and niche businesses located in downtown Caloundra. Enjoy live theatre and musical performances by leading artists at The Events Centre Caloundra throughout Summer. Pamper yourself with the sheer bliss of a beauty treatment at one of the many spas in town.